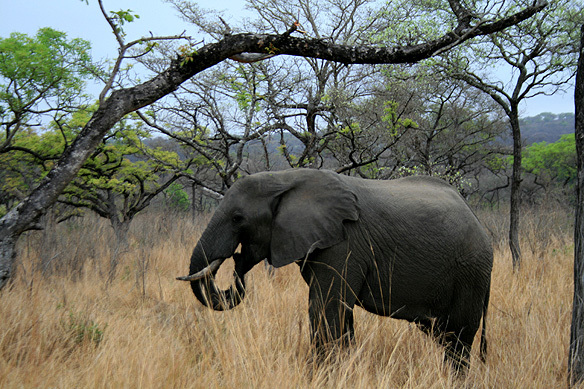 I stayed for three days and two nights and, yes, saw all the Big 5. 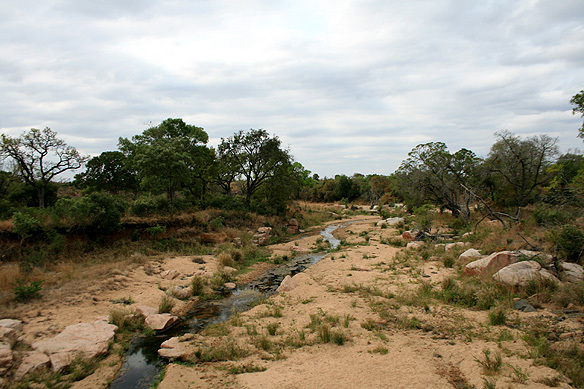 🙂 Which boiled down to herds of buffaloes and elephants, a leopard smacking away its lips after an impala kill, rhinos marking their territories with trails of urine and dung, and seven lions and a herd of buffaloes battling away on the banks of a stream after the lions had attacked one of the buffaloes. Don’t ask for pictures of this last mega-event. I was too engrossed with the live Discovery Channel showing to even think of my camera. 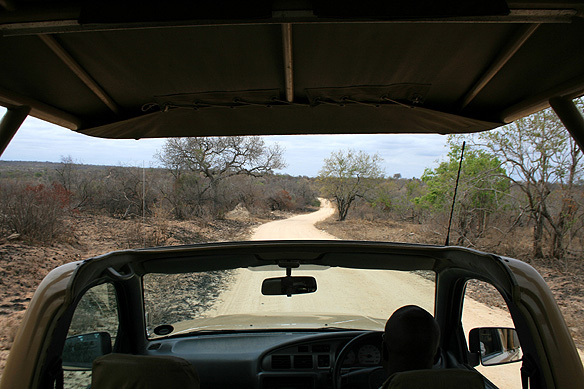 Perched atop my game range vehicle, open-mouthed and flushed with excitement, my eyes darted from one end of the bank to the other as the lions and buffaloes took turns to intimidate the other. 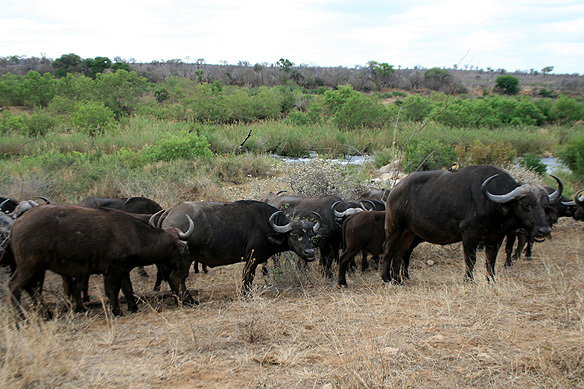 It all ended with the buffaloes losing interest and sauntering away, the lions digging into their meal for the day, and the dying buffalo moaning away in pain. The leopard episode was more sedate in comparison. 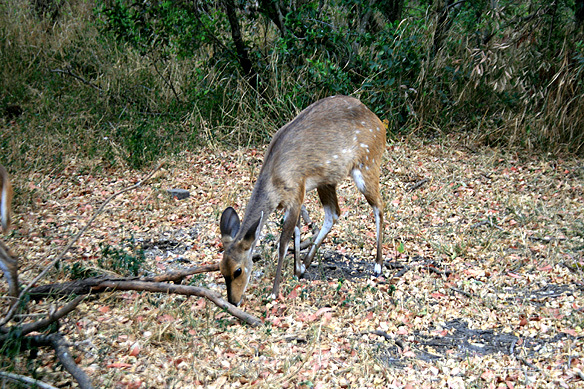 I’m not too sure if it was a he or a she, but it sat on a rock, shaded by a thorn tree, licking its paws, yawning, lazing. Next to it lay its kill, dead to the world. A few metres in front of these two protagonists were us, a group of human beings, some desperately clicking away with their state-of-the-art cameras weighed down by telescopic zoom lenses, whilst others gasped in awe [one of them being me] as we looked through our binoculars at the magnificence of an age-old food chain in play. 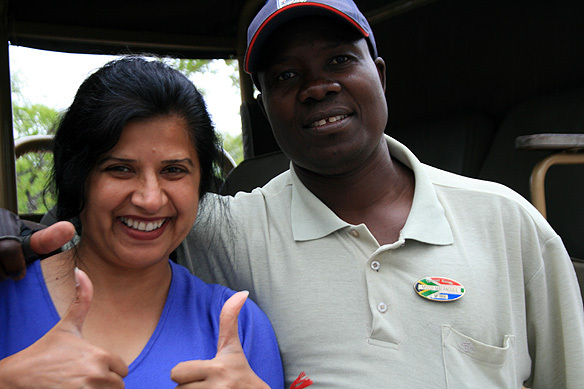 There are a number of camps inside Kruger, much like little mini cities, with Skukuza Rest Camp being the capital complete with its own golf course. 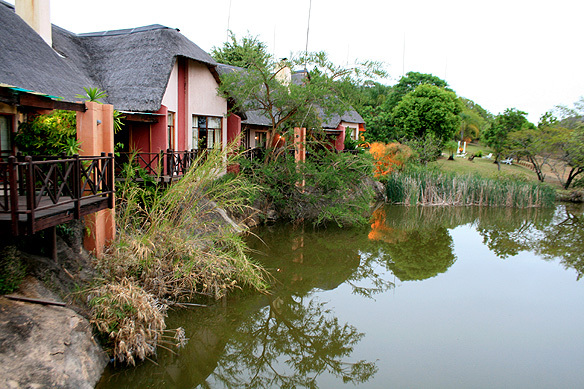 I stayed my nights, however, in Hazyview, just outside the Numbi and Paul Kruger gates, in a lodge where wildebeest and zebras roamed the grounds [nearly scaring me to death one night as I was walking to the restaurant for dinner] and crocodiles basked in the lake. And it was now time for me to go back home. It had been a wonderful past four weeks. Full of once-in-a-lifetime experiences—all the ‘touristy’ stuff and many off-the-beaten-path moments. 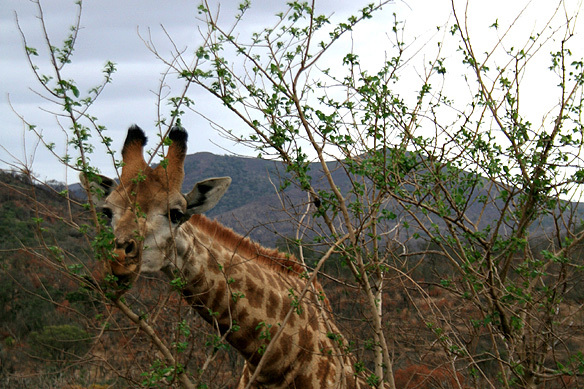 This entry was posted in Exploring our World, South Africa and tagged Adventure Travel, Big 5, Kruger National Park, Skukuza Rest Camp, South Africa, South African Tourism, Things to do in South Africa by Rama Arya. Bookmark the permalink. It sounds amazing and intriguing. 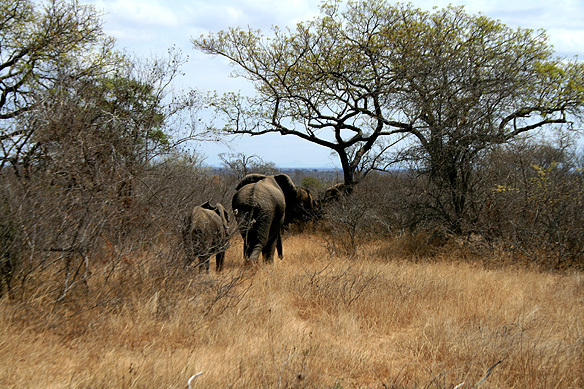 I’m totally Immersed in your account as if I witnessed these once-in-a-lifetime scenes myself in South Africa! Though cruel at times, Nature is fantastic and magnificent forever! i am karin/ yogateacher and ayurveda! i live at the constanzer sea in Ludwigshafen/ Bodman. i never visit africa. i am intressted to visit mosambic/ vilancool. how and which airline is the best, the service must be good. may be we can travel together. l love to read your block ! at workaway are good hosts in southafrica! 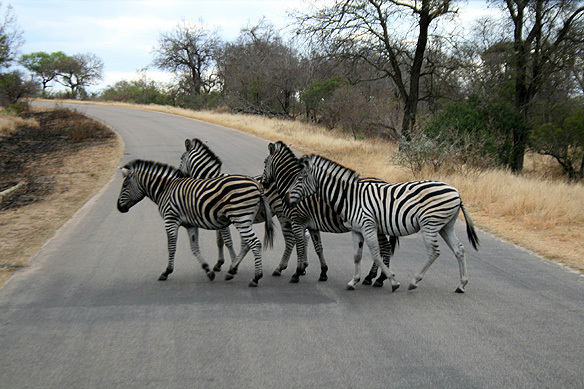 Even though SA has many game reserves, Kruger is the most famous of all.